In the light of the above it has become pertinent and necessary to analyze and understand the concept of intermediary. 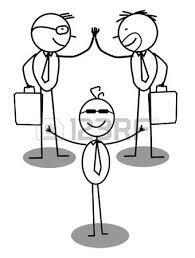 As per free dictionary Intermediary means a person who acts as a mediator or agent between parties. The Information Technology Amendment Act 2008 has clarified the definition of intermediary by specifically including the Telecom service providers, internet service providers, web-hosting service providers in the definition of intermediaries. Further search engines, online-payment sites, online auction sites, online market places and cyber cafes are also included in the definition of intermediary. In respect of electronic records, it also includes any person who on behalf of another person receives, stores or transmits that record or to increase with respect to the court. The definition is illustrative and includes all kind of service providers within its ambit. This part of the definition is very wide and includes all and any entity including hospitals, IT Companies, Banks, Govt organisations and various other service providing organizations, who receives, process, stores and transmit electronic record. Network Service Providers are various kinds of service providers who provide service using network. The definition of Intermediary is very wide and encompass within its scope almost all kind of service providers who provides any service related to Computer, computer resources, communication devices, computer networks. Therefore, all such service providers are qualified as ‘Intermediary’. This article is intended to provide a general guide to the subject matter. Expert advice should be sought about specific circumstances.